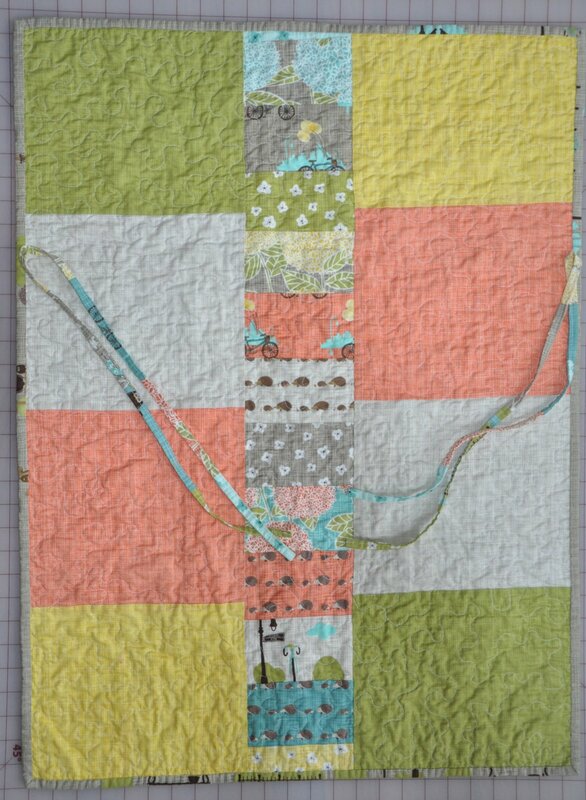 "While we were there (at The Intrepid Thread), Julie gave us a fat eighth bundle of Bluebird Park by Kate & Birdie Paper Co., for Moda. It is so sweet and has really cute prints along with great colors. 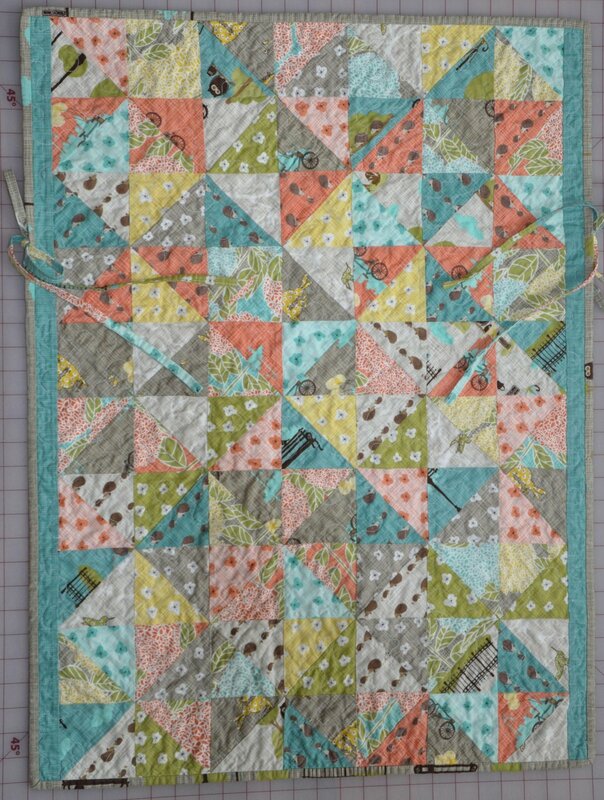 Jennie and I decided it would make a cute car seat quilt, similar to the one she had made for the Moda Bake Shop, it is called the “Sophie Car Seat Quilt“. 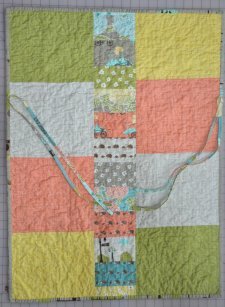 I changed the quilt pattern and made hour-glass blocks instead, and I also used only fat eighths, so I pieced the back, the binding and the ties for a fresh, scrappy look. It was fun to see it all come together!" 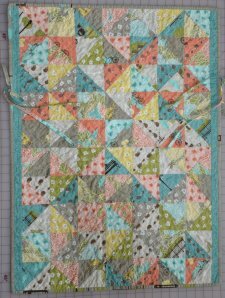 Click here for an earlier version of this design, the Sophie Car Seat Quilt, featured in the Moda Bakeshop.